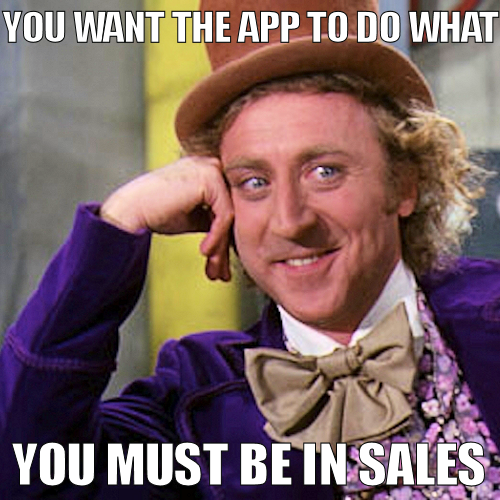 You Want The App To Do What You Must Be In Sales Developer Memes. I think almost anyone in the technology field runs into this more often than not. Everyone is a dreamer of the new latest and greatest product, but usually the dreamers are the ones that don’t have to make it. However, maybe they are the ones that drive the most innovation?